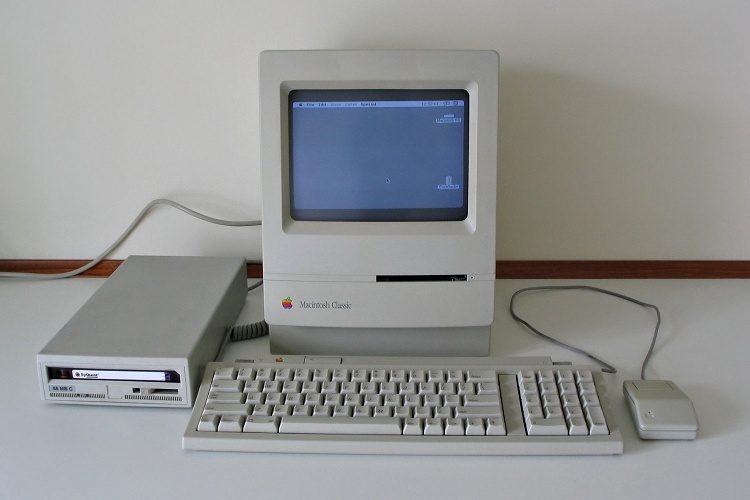 The Classic was one of the later incarnations of the original "luggable" Mac case design with the built-in 9" monochrome monitor. Actually this machine isn't really a Classic any more, as it's been upgraded to Classic II specification. Apple made the motherboard and rear case panel from the Classic II available as a kit, to provide an upgrade path for owners of Classic machines. In the picture above an 88MB SyQuest drive can be seen alongside the Mac.